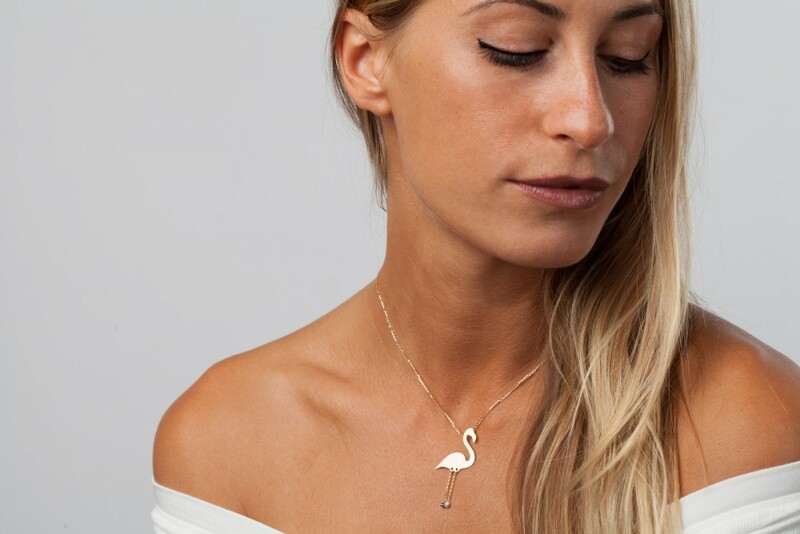 Flamingo is one of the most popular animal, even Pablo Neruda dedicated to it a poem, this special animal is alson known as "four elements bird" (Earth, Air, Fire and Water), it is historically symbol of positivity, charm, grace, balance, love, rebirth and independence. In few words, it's a natural spectacle, that captures female universe. 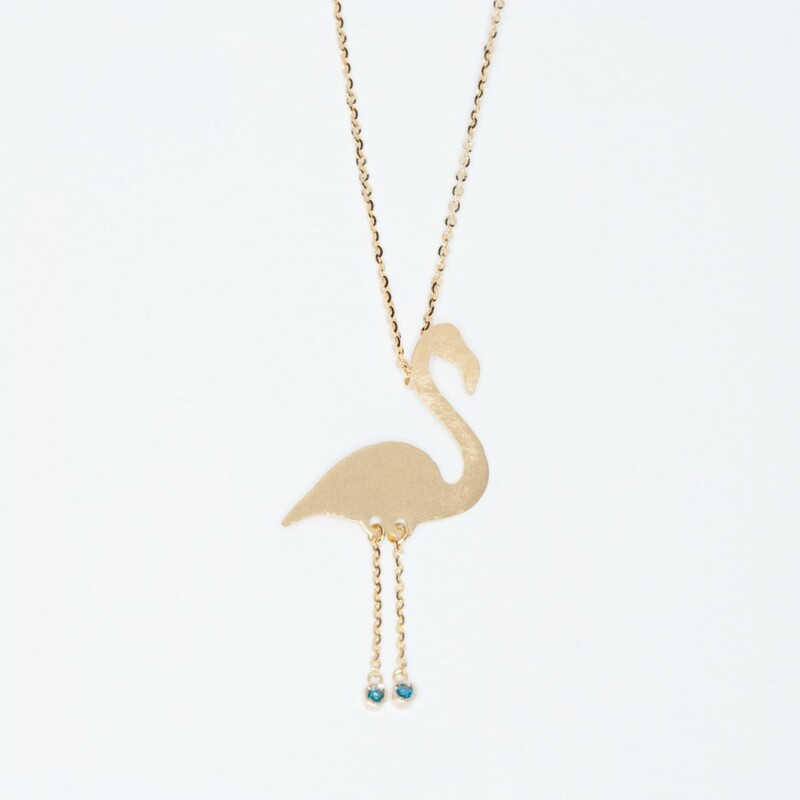 This pendant is as fashionable as the flamingo animal, it is made in 18 kt satin-finished gold, you can choose the length from the drop-down list next to the photo, by selecting 40 cm, 42 cm or 45 cm. 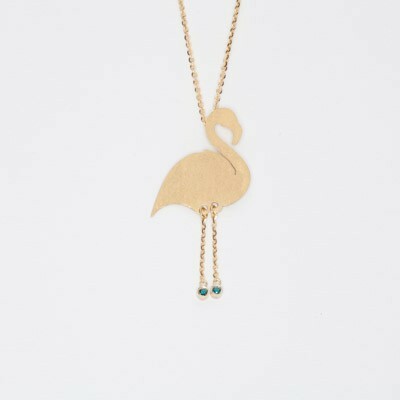 Flamingo's legs are made by two funny chain, at the end of it there are two blue brilliant cut diamonds, total ct 0,04. 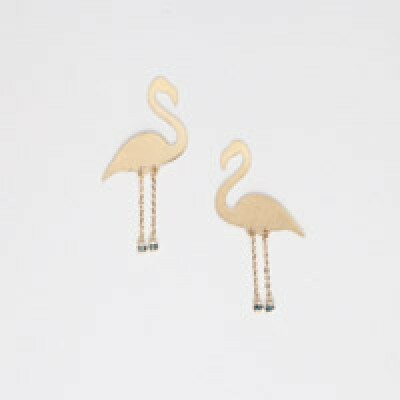 In the shipping are included certificate and exclusive packaging.